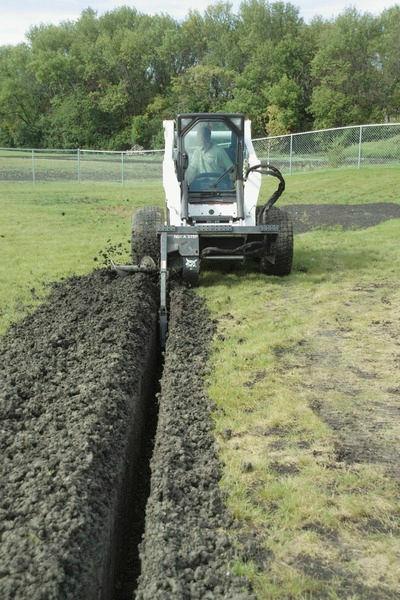 Cut into the ground and create a trench through all soil conditions. 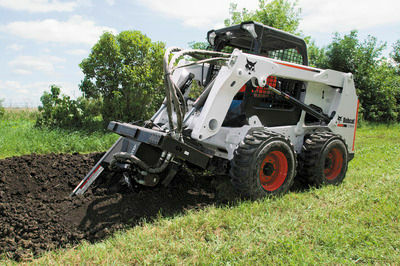 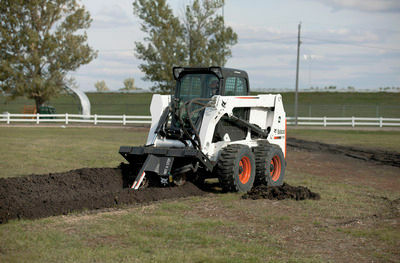 The trencher is designed with the power and strength to dig in even the toughest, rocky soil types. 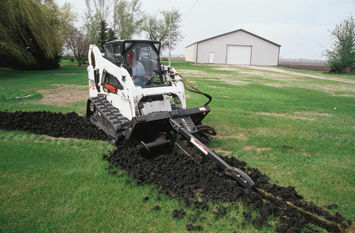 Use the side-shift feature manual or hydraulic, depending on the model to dig a trench close to buildings, fences, and other objects. 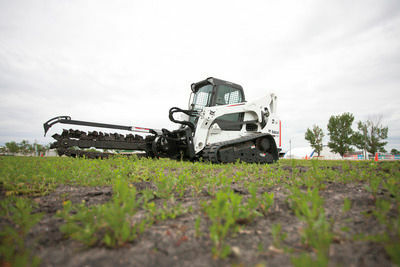 Equip the trencher with different teeth and chain options to maximize trenching capabilities in different soil conditions.